The service is voluntary and those interested may calculate the emissions generated by their vehicle, home, or the specific activity they would like to neutralize or offset to help create the “Peñalolén Forest” in Patagonia. 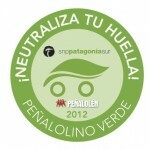 The municipality of Peñalolén has launched a program to neutralize the carbon footprint of some of its municipal services in a campaign designed for citizens of Peñalolén, as well as those elsewhere in Chile, to collaborate in neutralizing the greenhouse gases generated by their cars, homes, and diverse daily activities. People interested in participating my neutralize the carbon footprint of their cars and homes by purchasing shares to plant native-species trees and thereby create the “Peñalolén Forest” in Patagonia. The project, developed and carried out by the company Patagonia Sur, will sell carbon credits generated by their native-species reforestation project, in which they plant three species of Southern Beech: Coigüe, Ñirre and Lenga trees in Chilean Patagonia, specifically in Valle California, located near Palena in the Lakes Region. Peñalolén mayor Claudio Orrego, explained that the system is voluntary and enables individuals to quantify their emissions with a universal carbon calculator: “Once the amount of emissions have been established for each car, house, or other activity, you may offset them by purchasing Carbon Credits. While the emissions to neutralize depend upon the specific make and model of each car, it’s estimated that for each vehicle entered into the system, approximately five trees will be planted. “With ten neighbors participating, we can have 50-60 trees planted, and so on,” Orrego adds. 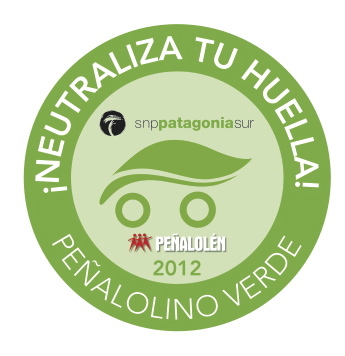 To access this novel method for collaborating to reduce greenhouse gas emissions, those interested should log onto www.Peñalolén.cl or www.PatagoniaSur.com and go to the carbon calculator to learn the emissions for your vehicle and then offset them. Alternatively, you can calculate and offset when you renew your vehicle registration permit for 2012 online at www.comunadigital.cl/permisonline and also at the point-of-sale stations in the supermarket Lider Express, located at the intersection of Av. Consistorial & Av. Los Presidentes, or at Jumbo supermarket where Av. Los Presidentes meets Av. Sánchez Fontecilla. Patagonia Sur’s Reforestation and Biodiversity Project in Valle California/Palena began in 2010 with the goal of reforesting 300 hectares 300 [740 acres] in Palena. More than sixty years ago, the region was deforested by settlers seeking to transform the forests into agricultural land. Patagonia Sur has already planted more than 300,000 native-species trees in the area. “We at Patagonia Sur are very happy to formalize this alliance with the municipality of Peñalolén, which has distinguished itself as a leader in environmental issues. Through this partnership, we’re creating the “Peñalolén Forest” in Patagonia, composed of native-species Patagonian trees which will compensate for the CO2 emissions created by Peñalolén residents,” commented Matías Rivera, general manager of Patagonia Sur in Chile.